With Lewis Hamilton having wrapped up the drivers' championship in Mexico last time out, Mercedes will hope to be celebrating once again at the Brazilian Grand Prix as they stand on the brink of sealing a fifth-straight constructors' championship at Interlagos. 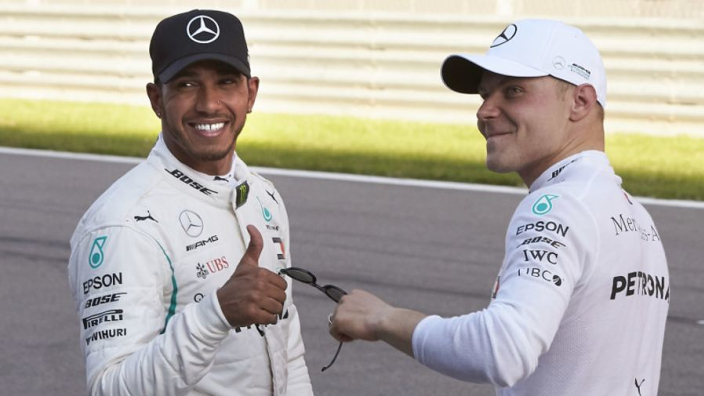 The Silver Arrows have locked out every title since the dawning of Formula 1's V6 Hybrid era – with Hamilton responsible for four of the five drivers' crowns. Ferrari have pushed Mercedes hard this year – as evidenced by the constructors' race going longer than the individual championship – but time is running out despite impressive recent outings. The Scuderia have outscored their rivals by 23 points over the past two races – 12 in Austin and 11 in Mexico City. However, if Ferrari are to take the fight to Abu Dhabi's season-finale, Ferrari must outscore Mercedes by 13 points in Sao Paulo. A one-two finish would guarantee it, even if Hamilton and Valtteri Bottas follow Vettel and Kimi Raikkonen home. If Hamilton and Bottas can accrue 31 points between them, it will end the debate. Can @ScuderiaFerrari stay alive in the constructors' title race? ???? A Mercedes victory, matched with the other car coming home seventh or better would do it, but Hamilton may not be the best bet. The Briton has never previously won a race after sealing a title in the seasons in which he has been crowned before the final race of the year. However, he will start on pole at Interlagos, with Sebastian Vettel alongside him on the front row and Bottas leading Raikkoneon on the second row. Bottas is due a success, though. He was on pole at Interlagos last year – where Vettel ultimately won – but the Finn is owed some help from Mercedes and Hamilton after being ordered aside for the Brit in Sochi. Could the wing man become the leader of the attack?